New Center Trains Detection Dogs To Save Lives A center for scientists to study what helps dogs succeed in search-and-rescue operations opens Tuesday at the University of Pennsylvania. Dr. Cynthia Otto, who created the center, and Annemarie DeAngelo, the center's training director, tell Fresh Air why they depend on their canine companions. 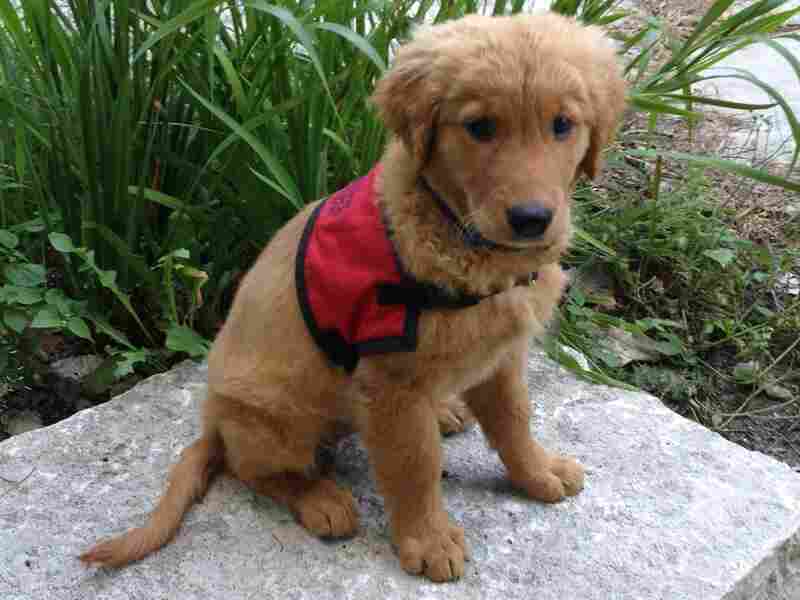 Eleven-week-old 11-week-old Bretagne is beginning her training as a detection dog at the Penn Vet Working Dog Center, which opens Tuesday. Click here to see photos of Bretagne at the mic during her Fresh Air interview. 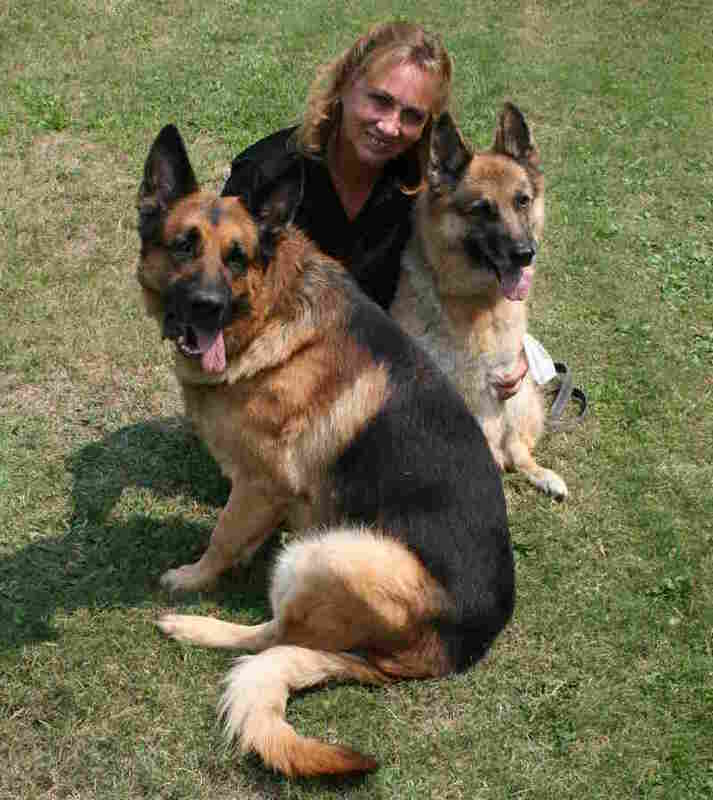 Cynthia Otto, who served on a team that used working dogs to search for survivors in the rubble at ground zero, created the Penn Vet Working Dog Center. She's a veterinarian who specializes in emergency, critical care and disaster medicine, and she has consulted with the military about the health of search-and-rescue dogs, including Cairo, the dog who worked on the Osama bin Laden mission. She tells Fresh Air's Terry Gross that detection dogs are invaluable. "There are so many jobs now that dogs are being used for," Otto says. "Originally it was kind of looked at as that patrol dog or the bomb-detection dog, but now they're being used to find the IEDs [improved explosive devices]. Some of them are actually being used for therapy in the field, which is really incredible. But they're starting to look at all of the different potential components that these dogs can contribute to...and the detection area is so important because these dogs are better than any machine that we have — and they can save lives." Annemarie DeAngelo, the center's training director, founded the New Jersey State Police Canine Unit and has worked with canines for more than 13 years. With her dog partners, she has searched for missing children, criminals and drugs — one drug seizure involved 1,200 kilos of cocaine. With her canine companions, DeAngelo says she feels "very confident that I know my partner is doing his job, and that no harm is going to come to me, and we're going to find what we're looking for." "And so we're looking at different approaches to keeping them hydrated so that they can stay safe, they can work well, and that's a question that people have lots of ideas about, and no one's taken that scientific approach. And that's what we're doing." Otto: "With finding live people, it's very important that they're trained to very quickly identify a concealed person, and that allows them to work in an area where there are a lot of other people that are visible but aren't concealed. And those dogs typically have what we call a very active alert — they bark. It may be used in the human remains also to have an active alert, but most of them are a more passive alert, which means that they would either sit or paw to alert that there is something there. The urgency with the live find is really what's so important, because we have such limited time to be successful." "[The training] starts out as game of tug of war and it evolves. It's a long process, but it evolves to a sleeve, and you just keep training every day until the dog will go out and make a clean apprehension." "They don't care who they find. If they find somebody, they get their Frisbee; it's a game and that's what life is all about. I believe dogs have such an amazing connection with us, and I think that sometimes what it's all about for them is what they're feeling from their handler — that pride that we can give them — that feeling, just that connection, because that is important to them. But it's about the game. I don't think that they really do know that they're being so amazing and so patriotic and so helpful. They're doing what they do naturally."